You are currently browsing the archive for the Photographic Process category. I recently came across an excellent website regarding depth of field (dof), including a handy online calculator for determining dof based on the focal length of the lens, the aperture, and distance from the subject. 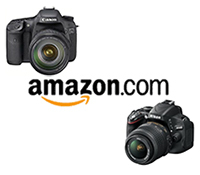 It even takes into account different sensor sizes, including the APS-C size sensor of the Canon 7D. You can also view and print dof tables as well as create, print, and assemble a field dof calculator based on focal lengths of your choosing. And if you have an iPhone, there is an app for that! Have a look at the DOFMaster depth of field app. Why is this all important? Well first, if you aren’t familiar with what depth of field is, it is the range of distances in which the objects in the photograph will be acceptably sharp. For example, if I am using a 100mm lens, set my aperture at f/5.6, and focus on a subject 10 feet away, everything from 9.69′ to 10.3′ away from me will be acceptably sharp or in focus in the resulting image. If none of this is clear to you, or only partially understood, then go out and read Bryan Peterson’s Understanding Exposure first, and then come back to rejoin us. It is a bit complicated and difficult at first, but if explained properly – as he will do better than I could – it will soon click. Also, I have posted a simplified explanation and quick and easy lesson for using dramatic depth of field here. So, according to George Schaub in Using Your Digital Camera (I have no idea who this is, but borrowed the quote from the above website) “(Depth of field) is one of the most creative and profound effects available to photographers.” I absolutely agree with this. My photography improved 2000%, virtually overnight, when I understood and began to use the creative and visual power of dof. And this is why I shoot on Aperture Priority Mode (Av) 98.5% of the time. I don’t want to go into the technical aspects of dof, and it can get extremely technical, but I will touch on some of the practical aspects of it. The ability to control dof is one of the many advantages of a digital SLR vs. a digital compact camera. Due to the small focal length, small sensor, and limited aperture sizes, a compact can typically not create the dramatic dof available to a dSLR user. And if one has a super-zoom type camera that will allow better use of dof, the controls to utilize it may be more cumbersome that with a dSLR. So why does one utilize dof? One reason is to better call attention to, or even isolate the intended subject of your photograph. When looking at an image, the eye tends to first go to what is sharply in focus as well as to what is lighter. If it is a busy scene with lots of possible subjects, the eye wanders aimlessly around all parts of the photo, and won’t necessarily focus on the subject you intended them to look at. By placing your intended subject in sharp focus, and the background and other elements out of focus to a lesser or greater degree, the viewer zeros in on what you intended them to. It can also be used to create various relationships between your subject and their environment or between your subject and other subjects in the frame. For example, a person who is your subject could be in sharp focus, while the background or elements around them are very much out of focus. This visually draws the subject out and leads the viewer to see this person as the sole subject of the photo. However, if the background or surrounding elements were just slightly out of focus, the viewer then sees the person as well as their surroundings, and starts to consider the relationships between them. By manipulating dof, you can work towards suggesting, defining and creating these types of relationships in your compositions. And why does one need the dof calculators? Since dof varies so widely depending on the lens being used, the distance to the subject, and the aperture, it is difficult to know precisely what distance range is going to be in focus. One can use the dof preview button on the camera, but it is often difficult to determine through the viewfinder what the dof will be. So with the dof calculator, you can plug in various numbers and learn how a certain lens is going to act in a particular situation. Then, by using your lenses often, and experimenting with various apertures and various camera-to-subject distances, one can begin to get an intuitive feel for how each lens works, and how dramatically different a 16mm at f/4 aperture is from a 200mm at f/4 aperture. And when you are in a situation that allows it, you can pull out your iPhone or your field calculator, and determine a precise dof in advance. I like using a very wide aperture (like f/4 or f/5.6) to create very shallow, dramatic dof in many of my images. However, I typically don’t want it to be so shallow that a person’s nose is in focus and their ear is out of focus (though this is a dramatic and sometimes desired portrait “trick”). Also, when photographing action, such as dance, I want a little leeway so that if I focus on a hat instead of a face, or if the person moves forward a bit, there is a enough dof that their face will still be in focus. And this is why I originally began to search for depth of field tables, so I could better understand how my lenses were going to respond in certain situations. Now, as a little, technical side note, I was always taught in school to be aware of the 1/3 – 2/3 rule which says that 1/3 of the in-focus area will be in front of the spot where you focus, and 2/3 will be behind it. So if you were standing at the front of a row of people, and turned back around to look down the line and take a photo, and focused on the 8th guy in line, this rule says that perhaps (due to your particular lens/ aperture/ distance choice) one person in front of him will be in focus too, and 2 people behind him will be. It turns out, this really isn’t accurate at all. Most often it is closer to 1/2 the distance in front of the focus spot and 1/2 behind it. I have no idea why they taught us 1/3 – 2/3.